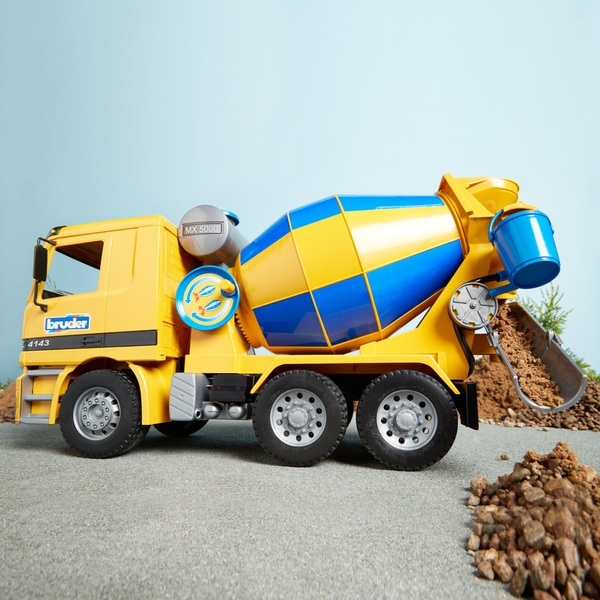 The tipping driver's cab of the MB Actros cement mixer provides a view of the engine block. The mirrors of the driver's cab fold out and the water tank can be filled. The drum with integrated mixing spiral can be turned by operating a crank and the cement chute can be folded out. A bucket is included and tread tyres round off the image.